I did a little shopping today & managed to pick up some super bargains. I found a mint green top in Primark for only £2.00 which is perfect for casual days. I also picked up 2 tops in New Look which were also both only £2.00 each! One of the tops is very bohemian so I was very impressed with that purchase. Whilst in New Look I managed to find some amazing boho style ankle boots. I have been looking for a pair for a while & I was really happy to find the perfect pair! They will be perfect for teaming with skinny jeans & pretty sun dresses. Speaking of dresses, they will match very well with the new dress I bought today. This little beauty was half price in River Island, just £15.00. 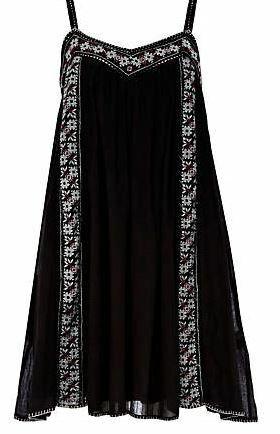 The perfect boho dress which a lovely tribal print detail. I am dying to wear it with my new boots to create a bohemian look. All I need to do is add some pretty jewels!